Without the big name players for most of the season and a new head coach, the Pride are an unknown quantity this year. 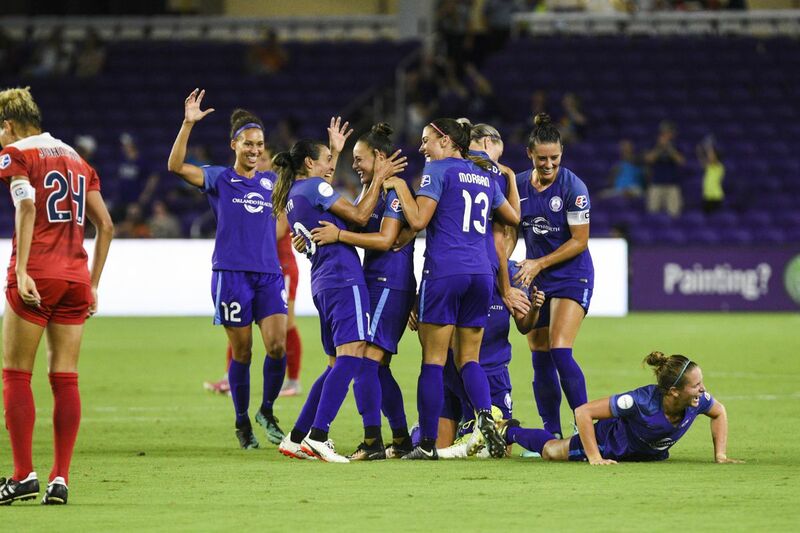 After reaching the playoffs in 2017, the Orlando Pride finished a disappointing seventh during the 2018 season in the National Women's Soccer League. 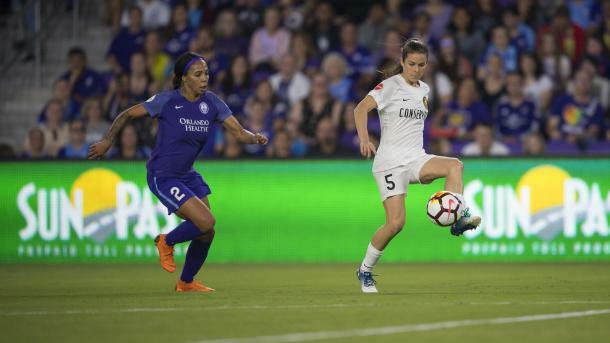 A new head coach and a summer without a slew of players means that the Pride will be an uncertain proposition for those who follow the league. Following that reversal of fortunes in 2018, the Pride decided that it was time to part ways with Tom Sermanni and find a new head coach to lead their team back into the NWSL Playoffs. Orlando decided to appoint former Birmingham City Women F.C. head coach Marc Skinner as they looked to inject a fresh approach to the team. Skinner had a fruitful time at Birmingham and had the team punching above their weight in the FA Women’s Super League and the FA Women's Cup, however the NWSL is a different proposition for Skinner. As Matt Beard, former Boston Breakers head coach, and Laura Harvey, current Utah Royals FC head coach, have found out, the transition from the English game to that in the United States of America is not an easy one. Not only will Skinner have to adapt to the league itself but he has never coached players with the calibre and status of a Marta or an Alex Morgan. On top of that, Skinner has had to scout the college game, which the NWSL relies upon for young players each year, to fill the ranks of his team where necessary and also in preparation for when his national team players leave for the 2019 FIFA Women's World Cup. Skinner's lack of experience in the NWSL may need an adjustment period whereby the Orlando faithful will have to remain patient with their new man, or, a new perspective may lead Orlando back to the playoffs because Skinner can provide a different tactical outlook than his predecessor. 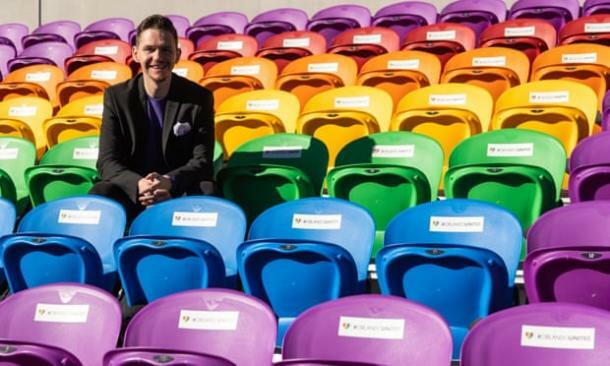 Either way, Orlando will go into the 2019 season with a varied style that teams will not know about until the first whistle blows for the Pride. In 2017, a front three of Alex Morgan, Sydney Leroux and Marta proved to be a deadly attack especially once Morgan returned from her loan at Olympique Lyonnais. Those three drove Orlando into the playoffs for the first time in its history but 2018 did not have the same story. A porous backline was not covered by goals last year and it stopped Orlando from climbing up the table on more than one occasion. Despite being available for most of the season, Leroux, Marta and Morgan could not reproduce the amount of goals they had the season before to help their team. Leroux was the highest scorer in the team with six, Morgan had five and Marta had four. That sort of output is not what you would expect from those three and it clearly affected the team overall as the lack of goals could not paper over the cracks that showed up consistently in defense. Leroux will most likely miss the entire 2019 season as she is due to give birth to her second child and both Morgan and Marta will be away for a large chunk of the season on World Cup duty. This leaves the Pride looking at Rachel Hill and Danica Evans as their main strike force for now. If Orlando want to better their results this year, they will need to take advantage of being an unknown quantity early on and push for as many points as possible before the national team players return. Once they do, their attack will need to keep scoring as many goals as possible to keep Orlando in playoff contention and to also prevent teams from getting to a slightly weak backline on paper. Goalkeepers: Lainey Burdett, Ashlyn Harris, Hayley Kopmeyer. Defenders: Erin Greening, Alanna Kennedy, Ali Krieger, Carson Pickett, Toni Pressley, Morgan Reid, Shelina Zadorsky. Midfielders: Joanna Boyles, Bridget Callahan, Kristen Edmonds, Abby Elinsky, Emily Van Egmond, Marisa Viggiano, Dani Weatherholt. Forwards: Danica Evans, Caitlin Farrell, Rachel Hill, Sydney Leroux, Camila, Alex Morgan, Chioma Ubogagu, Marta.